Professional fossil hunter Alan Detrich discovered the 15-foot-long baby T-rex around six years ago near Jordan, Montana. Last month, he decided to put the 68-million-year-old skeleton up for auction on eBay for almost $3 million. According to the listing on eBay, the T-rex died when it was around four years old, judging from data obtained by histology, the study of microscopic tissue structures. Its 21-inch skull was reconstructed by the curator of vertebrate paleontology from Florida's Natural History Museum. "This Rex was [a very] dangerous meat eater. It's a RARE opportunity indeed to ever see a baby REX, if they did not grow quickly they could not catch prey and would die," Detrich wrote in the listing. Detrich loaned the fossils to the University of Kansas (KU) Natural History Museum in Lawrence, Kansas, back in 2017. It is unclear why Detrich had a change of heart and decided to sell the fossils on eBay after donating them to the university. In an April 9 statement, the University of Kansas claimed that the "KU Natural History Museum does not sell or mediate the sale of specimens to private individuals." ​"Accordingly, the specimen on exhibit-loan to us has been removed from exhibit and is being returned to the owner. We have asked that the owner remove any association with us from his sale listing," museum director Leonard Krishtalka said in the statement. In an open letter to Detrich on April 12, the Society of Vertebrate Paleontology (SVP), a professional organization that was founded to "advance the science of vertebrate paleontology," criticized the fossil hunter's decision to sell the dinosaur. 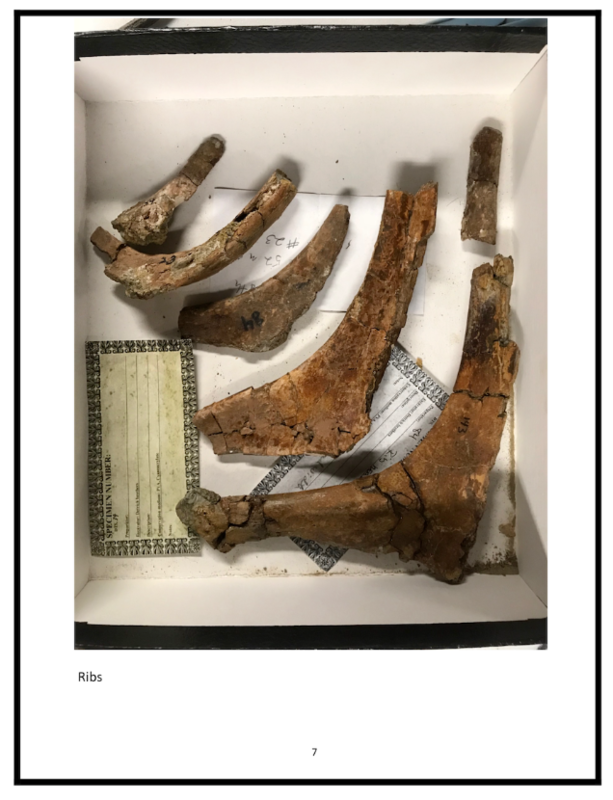 "The SVP is concerned because the fossil, which represents a unique part of life's past, may be lost from the public trust, and because its owner used the specimen's scientific importance, including its exhibition status at KU, as part of his advertising strategy," the organization wrote. "These events undermine the scientific process for studying past life as well as the prospect for future generations to share the natural heritage of our planet." According to the group, removing the fossil from the museum where it can be publicly accessed hinders scientific advancement. "Scientific practice demands that conclusions drawn from the fossils should be verifiable: scientists must be able to reexamine, re-measure, and reinterpret them (such reexamination can happen decades or even centuries after the fact)," SVP added, also noting that "a sustainable trade in fossils can only be achieved if original specimens and their data are placed in the public trust where their value can be realized and replicas like those normally exhibited in museums are collected privately." An average of 41 people view the listing every hour, according to eBay. However, the baby rex has not yet received any bids.